We’ve been up north today. Darlington, County Durham to be more specific, for a family gathering – my dad’s side. You know that thing where you all go “we should get together sometime, we really should meet up as a group, do something, have a meal or something” and never get round to doing it? Well we finally got round to doing it. It’s not as if we’re a million miles apart from each other – some of us live in the same town, some in London, some in Darlington – it’s just that we’ve all got such different lives and (as the fact that three of us had to go and do some work after the meal on a Sunday is testament to) we’re all busy busy busy. 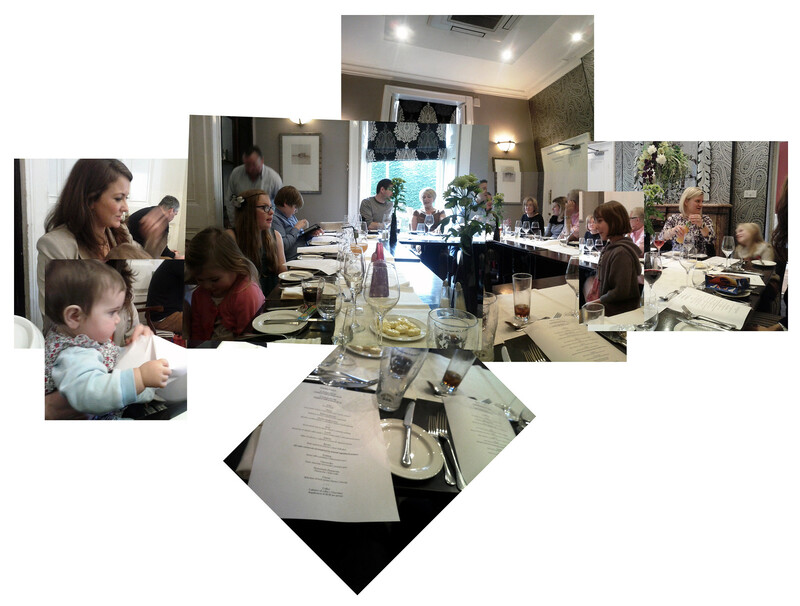 Today was the day though – and a lovely lunch in a private hotel dining room – a very laid back affair where the kids mostly played outside and the grown ups had a good ol’ chin wag. Lovely time, lovely food, lovely people.It’s lovely seeing each others kids growing up. The not seeing them for several months / years then seeing them is often quite surprising – how much they’ve grown and changed. 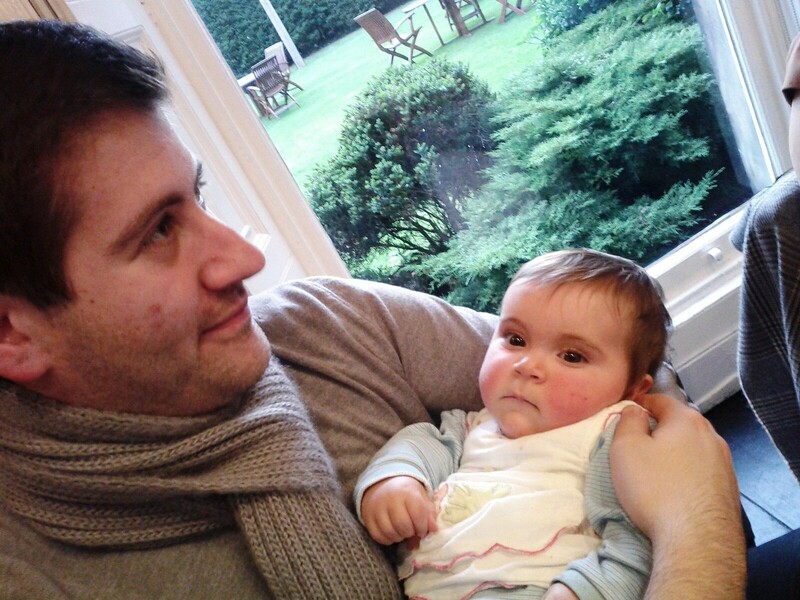 This was a nice moment – Here’s a picture of my bro and my daughter… one of many nice moments. I’m very fortunate to be part of a lovely family.